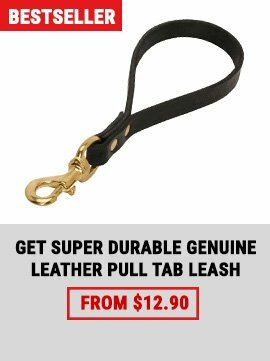 You, as a dog owner should care about your dog’s safety, that’s why you will need a reliable dog leash. A good leash will protect your dog and people around you, and will prevent some unpleasant situation that can occur on the streets. For example, when you cross the street that is full of cars and people, your dog can feel frightened and nervous and can run away from you, get lost, or receive some traumas. 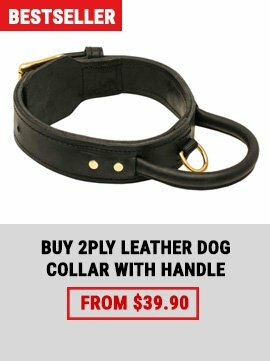 That’s why you will need a durable leash - it will help you to control your dog’s actions. That’s why we want to offer you this German Shepherd Leash With Handle, which will not only help you in a question of control, but also allows to dishabituate your dog from chewing a leash. Choose it - and you won’t be disappointed! 1. It is made of high quality materials. Chrome plated chain and snap hook are strong and reliable. 2. 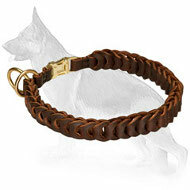 The handle is made of soft leather and won’t rub or irritate your palms. 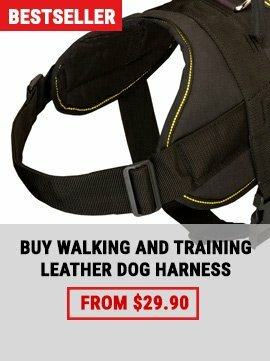 Feel comfortable, while walking with your dog! 3. The handle is also stitched with a special thread to make it more durable. 4. 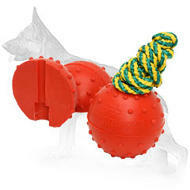 The leash has a swivel, that will make control of even the hyperactive dog easier! 5. Quick release snap hook will allow you to attach the leash to a collar/to a harness in one click. 6. All metal parts are protected from rust and corrosion which lengthens the term of service.